A manicure is recommended. To see how to do a manicure go to the article How to Give Yourself a Manicure. 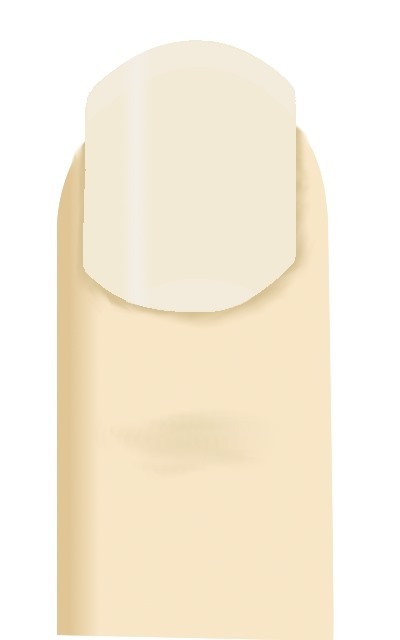 Step 2 Paint your base coat. 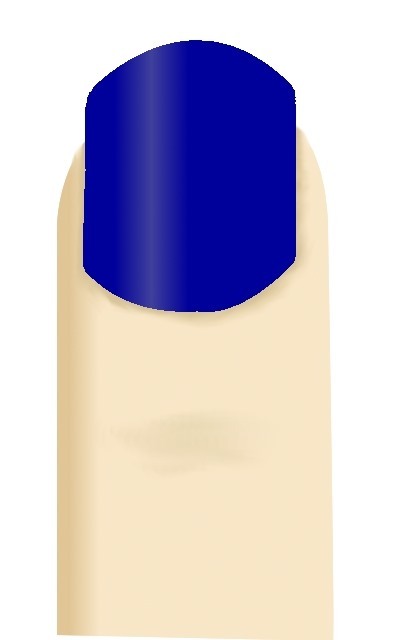 For this tutorial, the base coat with be a dark blue. Step 3 Add a white star. Paint a little white star in the middle of your nails with a nail brush, pen, toothpick, or whatever your comfortable with. For your non-dominant hand, create a stencil. 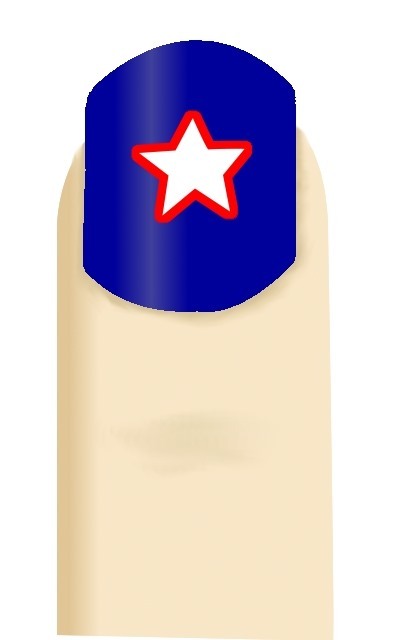 If you don't know how, see the article How to Make Nail Art Stencils. The star should look like this. Step 4 Outline the star in red. Using a nail brush, pen, toothpick, or whatever your comfortable with, outline your white star in red. It should look like this. If you want to show off your Patriot pride even more, add a little "P" in the middle of the star. It should look like this. Step 6 Add a clear top coat. Not only does this add shine to your nails, it keeps the polish from chipping.